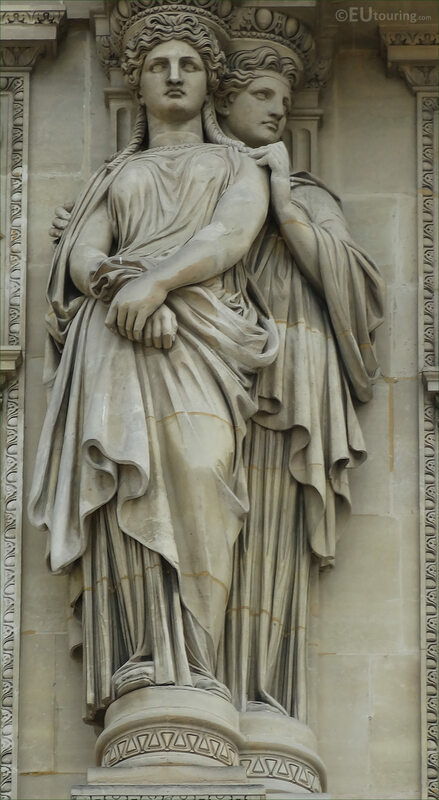 Again we were at the Musee du Louvre in the 1st Arrondissement of Paris when we took these high definition photos showing a set of Caryatids on the facade of the Pavillon Sully, which were sculpted by Francisque Duret. Rather than standard columns used as supports in architecture, you will often find that female figures are utilised, and known as Caryatids, which is spelt Cariatides in French, these have been used for centuries with fine a fine example in Greece dating from the 400s BC, but the ones you can see in this first HD photo are a far newer edition to the former Palais du Louvre. 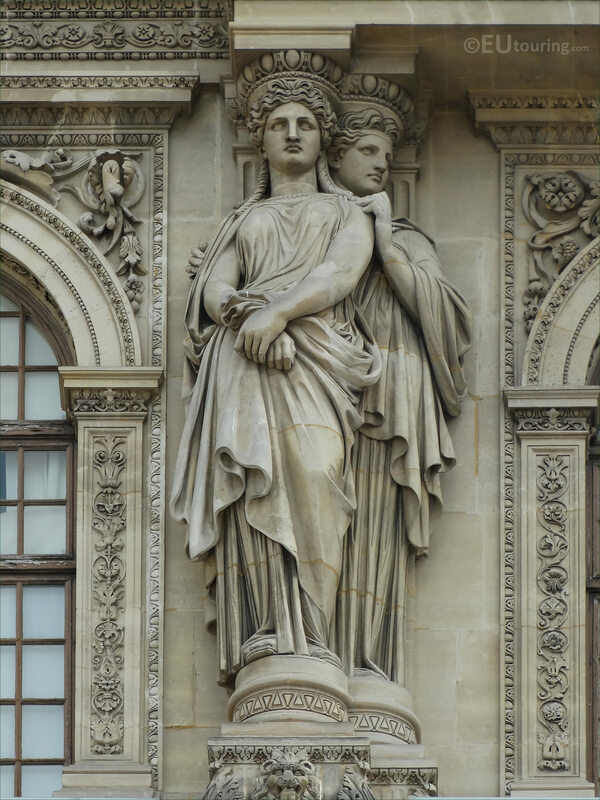 In fact, these set of Caryatids were added to the facade of the Pavillon Sully during the major restoration works that were carried out on The Louvre during the 1850s, and this particular set was sculpted by Francisque Duret who was born in 1804 and studying to become a French sculptor, he won the Prix de Rome in 1823. Also, Francisque Duret worked on numerous different tourist attractions around Paris including the Eglise de la Madeleine, the Tomb of Napoleon at Les Invalides and the impressive central statue group on the Fontaine Saint Michel, not forgetting The Louvre, plus many of his marble busts can be seen at the Chateau de Versailles, although as a professor at the Ecole des Beaux Arts, he was even more influential through his teaching. 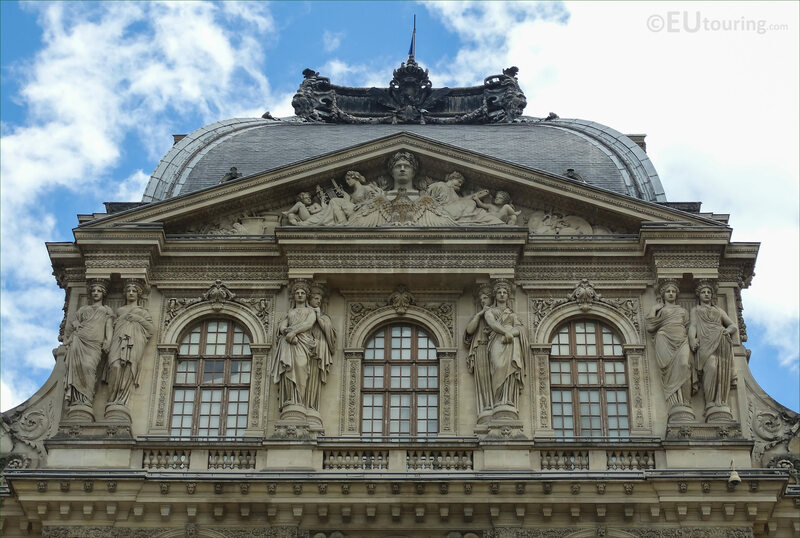 But this photograph shows the top section of the Pavillon Sully, and when you are looking at this facade of the Louvre Museum from the Cour Napoleon, you will see that this set of caryatids is positioned second from the left hand side on the third level in between the windows, below the pediment. 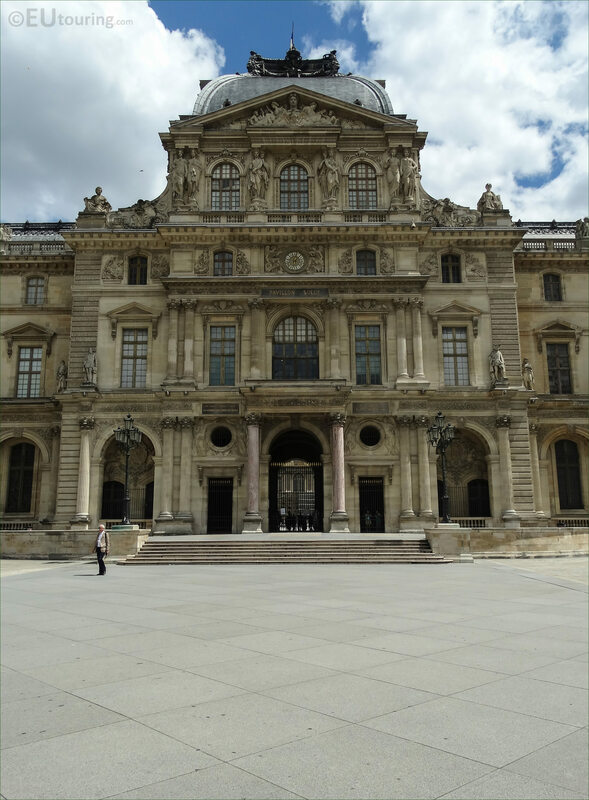 So this last image shows a view of the entire Western facade of Pavillon Sully and as mentioned earlier, you can see this wing of the Musee du Louvre from the courtyard called the Cour Napoleon, which is where the I M Pei pyramid can also be found.